Medium-sized trees have met their match. Works on medium-sized trees up to 4"
Removing small- to medium-sized trees from your cabin or home yard is a pain. We all know it and we all hate doing it. You can try to wrap a chain around it and pull, but the tree simply bends and the chain slides off. You can spend hours digging out the roots to pull it out, but then you get to deal with shoulder and back pain all night long. Brush Grubber thought this whole process was ridiculous, and they came up with the Brush Grubber Heavy Duty. Capable of pulling out trees and brush up to 4" in diameter from the ground…roots and all. It locks onto the tree using 16 gripping teeth and a spring-loaded jaw. 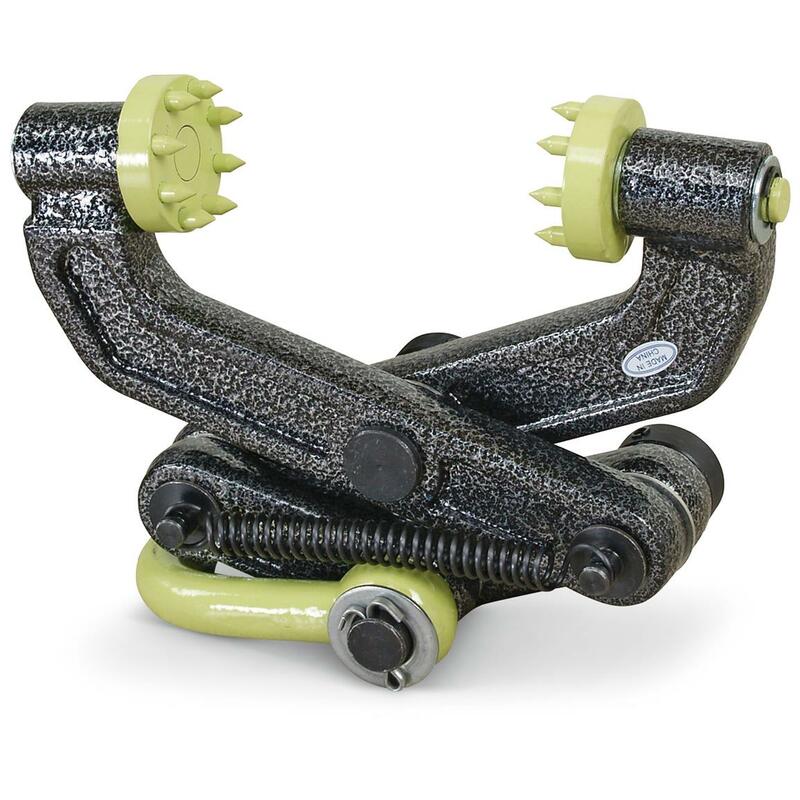 The teeth are specifically designed to give you an incredibly strong and secure hold. It does this by getting tighter and tighter with each pull. 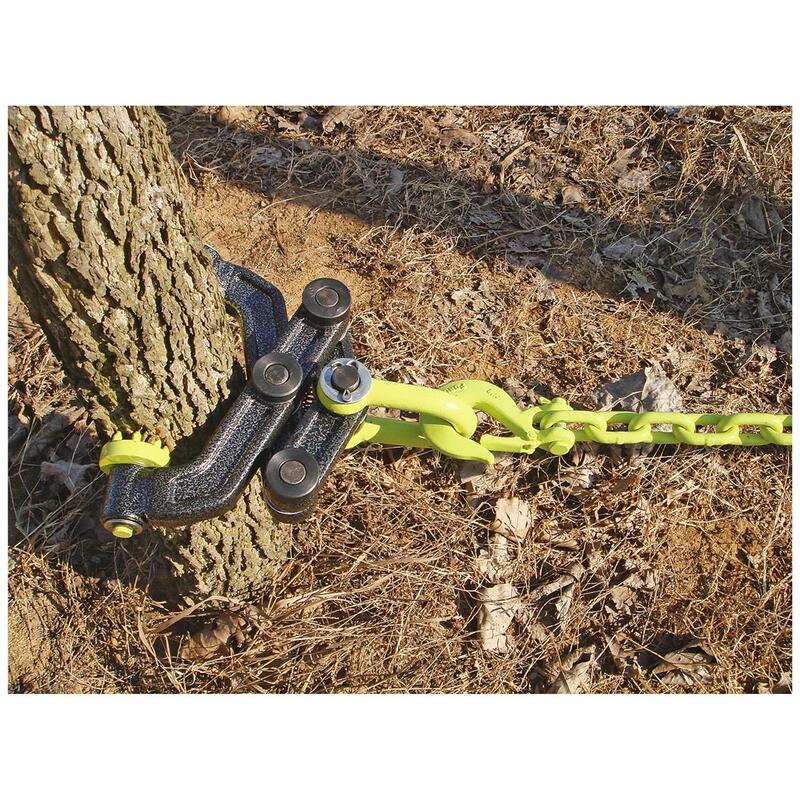 To provide a more secure hold and avoid debarking the tree, the two grip pads are capable of rotating a full 360º. 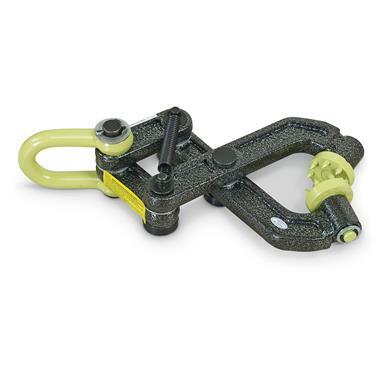 Whether you are pulling Buckthorn, prickly ash or other stubborn brush, the Brush Grubber Heavy Duty has you covered with an undisputed grip. Permanently removes buckthorn, prickly ash and other stubborn brush. Grab ahold, pull and order today! Brush Grubber Heavy Duty is rated 4.3 out of 5 by 13. Rated 5 out of 5 by hmp7623 from Exactly what I wanted did the job just right! Good heavy duty grabber! It grabbed and pulled mesquite with 8-10 roots up and never lost grip. Don't get to big a one for small trees as the jaws will be too big. My mesquites are 4-6 ft tall and have a single root trunk of about 1-2 inch diameter and this model is almost too big. but it works great. An ATV will not pull out a 4 ft mesquite bush with roots 8 feet long, had to use tractor with 4wd in soft sand! Rated 2 out of 5 by dsmith from Bent on first pull Followed instructions, 3 inch tree and it bent. took up the slack in the chain and started to pull, the tree came out with its roots. Bent so bad it can't be used again. Rated 5 out of 5 by OafDawg from Nice price! This thing is a beast! Hook the chain up to the back of Mahindra Max 28, the Grubber to the tree, and drive away. Out come those pesky mulberry and sweet gum trees! And SG has the lowest price around for the Grubber. Rated 5 out of 5 by MIKE from Have not used product yet but it is a more sturdy item than I had anticipated. Rated 4 out of 5 by RICHARD J from Solid, heavy duty tool. Works great. Clear up the simple way.